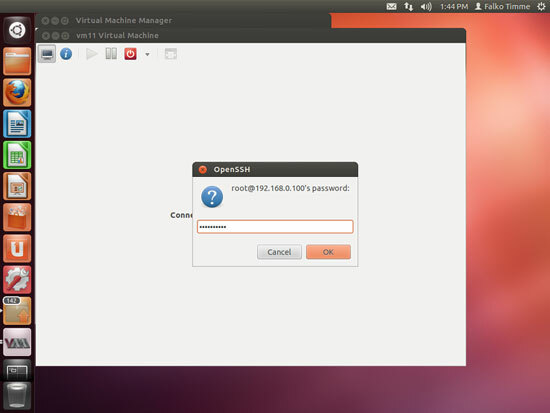 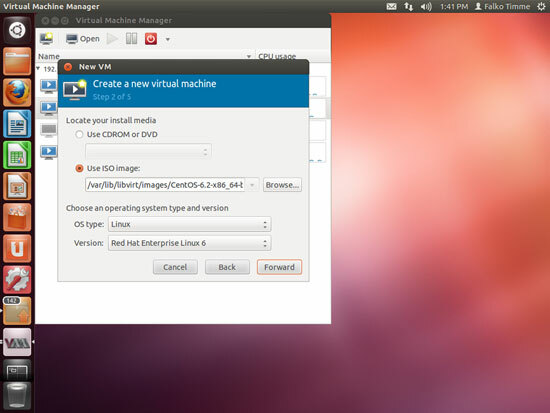 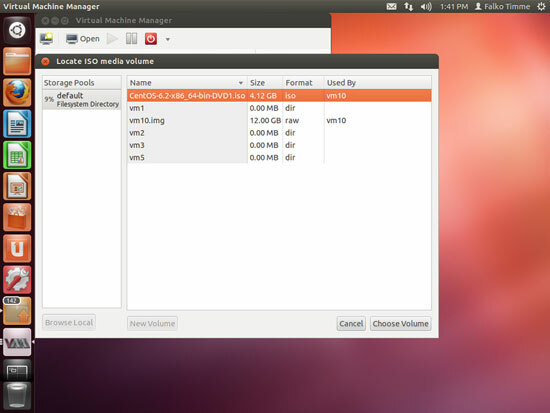 Instead of creating a virtual machine from the command line (as shown in chapter 4), you can as well create it from the Ubuntu desktop using virt-manager (of course, the virtual machine will be created on the Ubuntu 12.04 KVM host - in case you ask yourself if virt-manager is able to create virtual machines on remote systems). 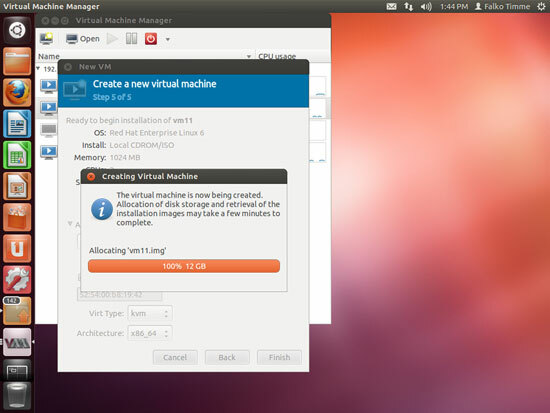 Now install CentOS as you would normally do on a physical system. ... and connect to it using virt-manager.